The New website includes a number of significant updates. Innuva’s portfolio is refreshed with the latest Projects and clients up to 2017. A new section is added for candidates to learn more about life @ Innuva, job benefits, job opportunities, and internships (coming soon in Summer 2017). News section is added to keep the press informed with our new updates. It is a very hard decision to change a brand’s logo, especially if it is linked with our name for over 6 years. Our employees, clients and regular visitors were attached to the old logo. However, it was inevitable. We had to make the switch. We needed to make a new logo that is fresh, modern, sharp and reflecting our brand. The Egyptian Pyramid being our own timeless inspiration for innovation was a key element of the new design. 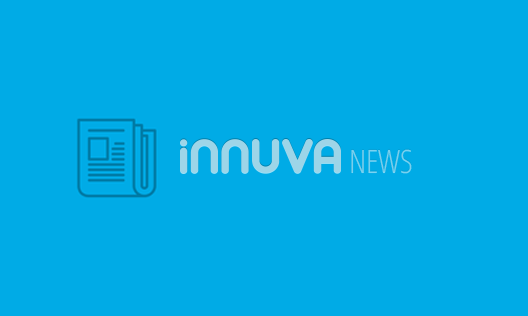 Innovation and Excellence, 2 core values at Innuva were the driving power behind the creation of our new logo. We would like to thank everyone at Innuva for all the creative work that brought this new website to life. Graphics design team creatively created all page designs and user experience. Development team re-implemented the website to make it very flexible for editing. Content writers and Marketing team worked hard to write, re-write and review all pages of the website. Even our very own employees posed for a photo session to support the marketing material of this new launch.